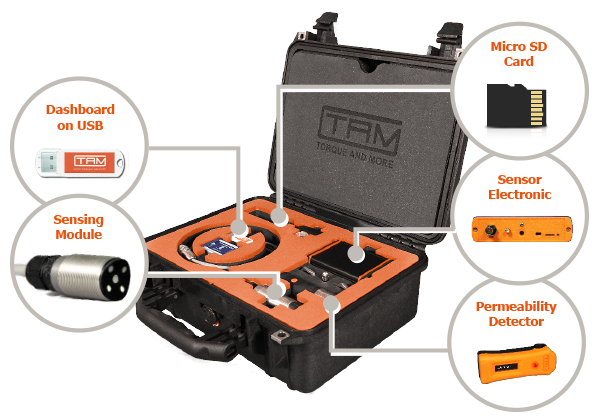 high-performance measurement kit that can be used over an extended operating temperature range. Very low signal drift, comprehensive hysteresis compensation, CAN interface and built-in datalogger are some of the market leading features for this Non-Contact Torque Sensor. 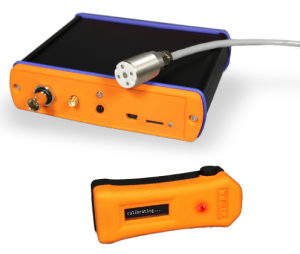 The A3-M Sensor Kit includes all components and modules required to take mechanical force measurements immediately after the installation at the targeted measurement object (shaft, beam, tube or sheet with Ferro-magnetic properties). The universal standard Sensing Module (Type-4, A3-Mini) is supplied with a 2-meter interface cable and will be connected to the Sensor Electronic. The Sensing Module will be placed nearest to the Test-Object where Torque or Bending force measurements will be taken from (maximal airgap is around 3 mm, optimal airgap is around 0.5 mm to 1 mm). The output signal of the Sensor Electronic will change proportionally to the applied mechanical forces (onto the drive shaft or beam). After the user has calibrated the A3-M Sensor System on the Test-Object (drive shaft) the measurement results are available in Newton Meter as an analog Voltage (0 to + 5 Volt) or in seral digital format (USB, CAN, MSD card). The included Permeability Detector allows the user to quantify the achievable measurement signal quality depending on what the alloy is used in the Test-Object (drive shaft, drilling shaft, torsion beam): A green light and a normalised value from 1 to 10 on an digital display indicates the achievable measurement performances at that specific object. 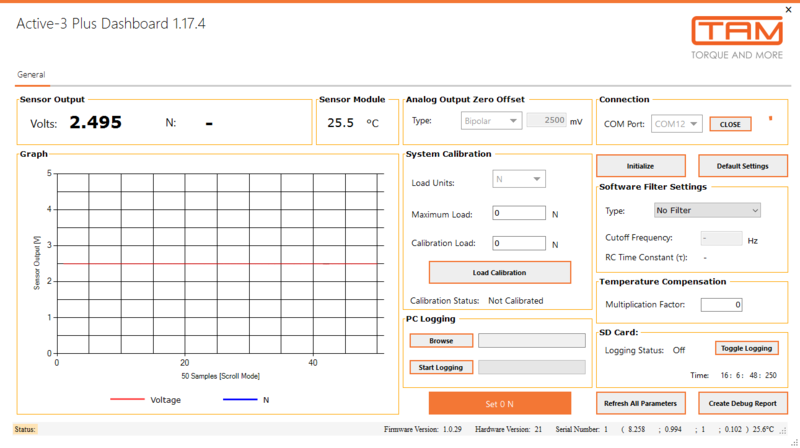 The provided PC Dashboard software allows the user to change and optimise the settings of the entire sensor system, including the activation of the functions: Hysteresis compensation, signal filtering, data logging for later analysis of the measurements taken, system calibration, and more.